When looking to become an import export agent, it’s sold to many as a quick way to make money without having to do much work. Link up buyers and sellers, negotiate a deal and get paid, this is how easy some think it is. The reality is somewhat different. Before we get into our top 10 tips, let me give you a little heads up about the the reality of your new import export business. Two years ago I was in Dubai lecturing at a local college and presenting our own import export training course at seminars and to various local trading companies. I noticed in the hotel lobby, an advertisement for a course entitled “Become a Successful Import Export Agent”. The title caught my attention and out of professional curiosity I purchased a ticket for $15.00. The course was a half day course, from 9 am t to 2 PM with a 15 minute coffee break. There were four very smartly dressed people, presenting the meeting and we were told in rapid succession by all four presenters there was a fortune to be made as an import export agent, with little or no financial investment and minimum knowledge of International trade. We were then told that once we enrolled in the course, we were on our way to success. As one speaker put it “ The sooner you start the sooner you’ll be rich”. Each of the four presenters in turn, told us that they were originally working dead end jobs making money for their boss, living the usual rat race, living week to week, hand to mouth. By becoming import export agents, this gave them the financial freedom and lifestyle independence to do whatever they wanted. All that was missing was the photos of each of them with a Ferrari. As you may imagine, this went down very well with most of the paying audience. Who doesn’t love the idea of making great money with no financial investment, little risk and you don’t have to study! We were told it was so straight forward, a child could do it. All that was involved was find a buyer and seller, introduce them to each other and “hey presto” we get a big fat commission for little or no work. For every buyer, there’s a seller and our job is just to match them and then wait for a chunk of money to hit our bank account. Lovely! However…even though there was little to zero financial outlay, virtually no risk to setup our new wonder business there was one small initial outlay that we would have to pay up for. You’ve probably guessed it, $800 for their course that would teach us the golden secrets of how to get rich quick as an import export agent. To prove just how simple this process was, we were given a photo copied sheet of paper with a list of names who were apparently “buyers”, of course with all their contact details blanked out, with a corresponding list of sellers and the products they have to sell but again with their contact details omitted. Once we paid the $800 fee, we would get the full list of names and addresses and even an example letter that we can copy introducing our buyers to our sellers. What an offer, all the work is done for us, we just have to copy a few letters and send them off and we should be in business, ready for our bank accounts to fill up. I had visions of myself as a dragon on Dragon’s Den, with stacks of cash on my kitchen table as I eat my breakfast each morning, contemplating what I’m going to buy next. The final clincher was that by paying out our hard earned $800, we would also receive a fabulous “HOT TIPS” guide! Although we were not enlightened as to what any of these hot tips may be. The audience at this point was not a rush to join up but these four presenters worked their charm for the next couple of hours or so, telling us that it was the best investment they would ever make and if they didn’t do it today, they will miss out forever. Can An Import Export Agent Be Cut Out? In an effort to try and shed some light on how this get rich quick scheme may not be quite so easy, I offered a question, “How can I be sure the buyer and seller don’t just cut me out after the first deal and deal directly with one and other?” In a dismissive tone, the presenter replied, “This very seldom happens, so don’t worry”, then moved on to the next question. Fantastic, let’s pay the $800 then as it hardly ever happens. At this point after several hours of being told how easy life as an import export agent is and the riches it will produce, the sentiment of the audience had changed and they were on board. Who doesn’t love the idea of making an “easy buck” as they say. At 2pm the presenters let us know that this was their last seminar in Dubai for another year so, just for us, they would make a special offer of $600.00 to enroll in this super duper life changing course. I managed to leave the room soon after 2pm but as I left there was a line of people signing up for the “special offer”, eagerly anticipating all of the profit they were about to make. I felt for those people queuing up to make their fortune but first having to spend $600 of their hard earned money. Not because they’re signing up to the course itself or because being an import export agent can’t bring you excellent profits but because their expectations had been mismanaged. If you want to become an import export agent, it will take some financial investment, it will take time and effort to build relationships with buyers and sellers, you’ll need to learn to negotiate with them, you’ll have to study and understand the implications of acting as a stockist or commission agent and you absolutely must understand in its totality how to trade on an International level. You will encounter problems, as you will with any business and you must know how to solve these problems quickly and efficiently. You must know where your risks lie and once you grasp these concepts, then you can run a profitable business as an import export agent with a healthy profit margin. Spending money on a course that promises you quick riches is probably never going to be a good thing. Sure, spend money on courses and educate yourself but also have realistic expectations. Any business you setup is going to take some elbow grease, some investment, study and determination. There is no way to get rich quickly or easily…or we’d all be doing it. By the way, the correct answer to stopping a buyer and a seller from cutting you out as the commission agent is to include a “circumvention clause” in your contract, which is a fundamental clause in this sort of situation. Firstly, becoming a successful import export agent is what we need to be focused on and for this become a reality, like anything in life, it’s going to take some hard work, time and dedication. As we all know, any new career or skill that we want to learn is always going to take effort and some form of dedication. Nothing worth pursuing comes easy or for free. It’s unfortunately not as simple as working from home for a few hours each evening. Product knowledge is paramount, hard work and understanding international trade are all key parts of making a success of becoming an import export agent. Honing your negotiation skills, understanding international methods of payments and an understanding of international contract law are very wise. The good news is, there’s always companies looking for import export agents. Below are the import export agent job description for the two types of role you can opt for. You’ll have to decide which one is appropriate for you with the products that you decide to represent. A commission agent introduces a buyer to a seller and receives a commission for sealing the deal and continues to receive a commission for any future sales from that same deal. As a commission agent you’ll be dealing with buyers who want the product but likely don’t have much knowledge of international trade, which Incoterm to purchase under, best method of payment nor custom clearance procedures. This is where your knowledge becomes invaluable and you’ll be able to hold their hand through to whole import export process and this is where you earn your import export agent commission with confidence, professionalism and the best possible terms for you. As a stockist agent, you will actually buy the goods or products yourself, keep and store those goods, find buyers yourself and sell them to anyone you want. You could sell regionally, nationally or internationally. To become a stockist agent you must have an in depth understanding of international trade and the entire import export process from start to finish. As an example, we had a student who completed our online course and has begun importing very modern home security cameras with motion detectors that record to the cloud. These cameras are imported from Hong Kong where they are manufactured and being sold online and to various retail shops throughout the UK. This young entrepreneur now has a small team of sales reps that pick up stock and sell throughout the UK for him once a month. Establishing what you want to sell, finding a supplier, manufacturer or a source of products is obviously where you need to start in order to become broker for them. One effective method of sourcing is by contacting the embassy of the country you wish to source from. For example, if you are sourcing products in China, contact the commercial section of the Chinese Embassy in your country and ask for a list of Chinese manufacturers and suppliers of the product you want to represent. This is an effective way to source products internationally. Another effective way to source products is to contact overseas trade fairs and ask for a list of companies exhibiting at the trade fair. For example, if you were looking to become an agent for children’s clothing, try Google’ing “children’s clothing trade fairs in China”. You’ll be able to put together a list of dates, locations and contacts. If possible, visit the trade fairs that you can and get talking to people and start to build a network. If you can’t attend the trade fairs, contact the organiser and ask for a contact a list of all exhibitors which they are usually more than willing to give you. Then you have a pretty comprehensive list of manufacturers you can contact and add to your network. I have personally used the methods over the years and they have thankfully brought me some great results. Develop a range of products from either your chosen supplier or consider finding a range products that fit well together, from multiple suppliers. The big advantage to this strategy is when you are in front of a potential client, pitching your main product, it can convince them to buy from you if you can back it up with a range as they may see more opportunity to sell the range, therefore earn more profit. The other advantage is, should your potential client not be interested in your main product, you may find that they are interested in another in your range. By having a range of products, you’re increasing your chances of a sale and expanding your sales network. Do you have sufficient knowledge of your product? You’re not necessarily expected to know every single detail about your products and be able to answer every question but you do need to have a good understanding of the product, how it’s manufactured, cost of production, wholesale price, retail price, profit margins etc. You must be able to pitch your product with confidence and a depth of knowledge. If you then don’t know an answer to a specific question, you can always reply “I’m not 100% sure of the answer, so I’d like to check that and come back to you.” You can then make sure to get the correct answer and answer the question in a follow up email the next day, maintaining contact and dialogue. However, this only works if you’re unsure of the odd question or two. You won’t be able to give this answer for all the questions, or you’ll look completely unqualified and make your products look weak. Establish what product education and knowledge you’re going to receive. Training videos, webinars, video calls etc. are all great ways to get yourself up to speed. Step 4. Research, Research, Research. Know your market – this is so important. Who else is importing and wholesaling your product(s)? What’s the wholesale price of your competitors? What is your product(s) retail price? What can you do to make your pitch better or different from your competitors? How can you make your service better that your competitors? With this basic information, as yourself, “can I compete as a stockist or commission agent on price and delivery?”. Run your numbers, do the numbers add up and is there a profit margin that you can work with? Find your niche, find something that you can specialise in, become the leader, the expert, in that area and build a solid foundation from here. This is an important step that many overlook and can be very costly if not considered. Does your products comply with health and safety regulations in the country that you’re selling? Imagine finding your products, pitching to clients, negotiating a deal and importing your products to find out they’re not compatible with health and safety regulations, can’t be sold and are held up at customs. This will likely add substantial cost and untold stress and there’s a decent chance that your profits will be wiped out or worse, you’ll make a loss on the deal. Do not neglect this step, it’s not worth it. Establish what territory you want to represent, perhaps become a national import agent UK or maybe International. It depends on what your goals are, what capital you have and to a large extent, how big your network is. If you’re starting out, have limited capital and a small network, just work within your region. As you grow in all aspects you could start to look at a national network. Take it a step at a time but you may be surprised how fast your network grows. Make sure a circumvention clause is included in your contract, which is a legal means of stopping the buyer or seller excluding you from future sales as the commission agent. You’ll likely need samples to promote and demo in your pitches and meetings. It’s much harder to sell if you don’t have a working version of your products to demo. So, establish if your supplier will provide samples to you free of charge, or at what cost. What promotional material, if any, does your supplier have? Product images that can be emailed to you so you can add them to your website and advertise on Facebook. Be sure these images are clear, professional and represent the product and your brand well. Videos are an effective way to show your product if professionally produced so find out if there are any available to you. Product brochures are good to leave with potential clients after a meeting, with a breakdown of costs, prices and profit margins. Lastly and perhaps most importantly, what rate of commission will you negotiate? Your commission obviously has to make it worthwhile to you so it’s important that you know all your costs and what your bottom line is. This is where knowing how to export is so important as if you get this part wrong, it can obliterate your profit margin. Ready To Become An Import Export Agent? If you think you may be ready to start your import and export business and become an agent, we have a student of ours that is looking for commission and stockist agents. Arslan Wood Designs is a Turkish manufacturer of high end, top quality wooden products for hotels and the catering industry. Becoming an import export agent for this prestigious product may be the perfect starting point for you. It offers an excellent opportunity to represent a first class company with over twenty five years trading experience and a proven track record. See their full range at their website www.arslanwooddesigns.com. Arslan Wood Designs are also looking for import export agents in USA and are just one of many, many import and export companies around the world looking for agents. Please feel free to contact us if you would like to discuss. If you want to learn how to become an import export agent, you’ll need to know and understand the import export procedure. Check out our online course which streamlines the aspects of import and export that you’ll need to know, for just £149 (approx: 14,000 INR | 71,500 NGN | 3,455 EGP | 1,060 TRY | 275 LYD). We were voted Best Trade Education Provider in 2017 by Trade Finance Global and our course has been validated by the London Institute of Shipping and Transport. Check out our reviews on multiple sites and let us know if you have any questions. Knowing how to export or import is important knowledge to have for many businesses for obvious reasons. If you’re selling products nationally and want to expand, the international market is available to you and the globe is a much smaller place today than it once was, which is where there is an advantage of direct export. Finding international buyers for your products now, isn’t as difficult with such a connected world. It’s actually possible to find buyers using a laptop, a few well written emails, some key negotiation techniques and importantly, your confidence. Importing and selling products is an obvious business that many successful entrepreneurs begin with and build sizable companies as their experience and business network grows. As with anything, the more you do it, the more you learn and the easier it becomes. We are often asked, what’s out there so here’s 12 ideas from 6 different countries that we researched as far as some ideas for what you can import and sell. So, the next question to answer becomes how to export, or import? This guide is going to touch on the basics that you’ll need to know. There’s a lot of content to cover if you want to import export as a career but this will get you started. Direct export is very simply the process of selling your products directly to your customers or a middle man (such as an import export agent) in a foreign country. There are advantages to direct export, such as keeping complete control of your logistics operations and direct communication with your customers, allowing you to offer the level of customer service you want rather than entrusting this to a third party. Now that we’ve established a direct exporting definition, lets look quickly at the disadvantages and advantages of exporting in this way. As an example, Zappos in its early days entrusted its logistics operations to eLogistics, which took away the hassle of dealing with warehousing, scanning in their products when they arrived, dealing with customer orders, returns and shipping. The advantage was that they were able to focus on the business itself, marketing, growth and the many other things that are involved in running a business. However as with everything in life, using export intermediaries had its problems. In short, eLogistics were not able to keep up with the level of shipments arriving at the warehouse nor customer orders. Customer service suffered and people became unhappy. Zappos took control themselves and went the route of direct export with their own warehouse and shipping operation using UPS. For the entire story, I recommend the book, “Delivering Happiness” which will clearly explain direct exporting pros and cons. Even as a small business, learning the information about how to export and create a strategy to direct export to markets worldwide will give you some massive advantages. You’ll have control over your logistics operations which is important for your global market entry strategy. Within international trade there are various methods of payment used. There’s obviously cold hard cash where banks and wiring transfers work well for “smaller” manageable budgets. However, what happens when contracts become larger, perhaps even into millions of dollars? How can you safeguard being paid and what if you have to buy stock or materials when you’re strapped for cash? The limitations of exporting is more often than not, cash! One method for this is through the use of letters of credit. We have already written an in depth blog on this so we won’t repeat it all here but knowing what methods of payments are available to you and how to use them is very important. Letter of credit are one of the pros of exporting. Other methods of payment are documentary collections or consignment but we will leave these to be discussed at a later date. One of the most important things to really consider when it comes to payments within international trade is that if you’re exporting products, a sale isn’t a sale until you get paid and for an importer, you haven’t bought the goods until the moment you receive them. Keep that in mind! In the UK if you are going to trade internationally, you’ll need an EORI number. This is particularly relevant at this time as we are on the verge of leaving the EU, at the time of writing, without a deal. This means that while trading with the EU, before Brexit was relatively hassle free, it will adversely change and trading with any EU country post Brexit (as it stands) will be like trading with one outside the EU, for example Brazil. This is a much more complex process and if you want to know more about this, see our recent blog, “How To Prepare Your Business For Brexit“. Eventually you’re going to need to the services of a freight forwarder. These guys will be the guys that actually move your goods from the source to your destination. Using the post office is only so good as it only works for smaller packages that you can take to the post office and send. You obviously won’t be able to drive forklift trucks there and leave them with your pallets of amazing products. There’s always Fedex and UPS but these can get expensive so it’s best to be aware of freight forwarders and how they can help you. Luckily, we also have a blog on that so we have you covered, “What’s a freight forwarder and how to they help me?“. Insurance is never the most interesting subject and one that we would all like to skip over but it’s super important for direct export. If your goods don’t arrive at their destination, who’s fault is it? Who has to suffer the financial loss? How will it all be rectified? Being insured takes care of those issues, accidents happen and things get lost. Make sure you’re not on the wrong end of that scenario. As you’ve probably guessed, check out a recent blog on marine insurance to learn some of the details involved in covering yourself. Simple enough, when you’ve got your order, you’ve packaged up your products safely, got all your documentation together, it’s time to book it with your freight forwarder for direct export. Always best to get a few quotes as with anything, to make sure you’re paying a fair rate. By this time, you should have already nominated your freight forwarder and it’s time to get it booked in for shipping. There’s a lot of documentation that’s required for moving goods internationally using direct export so make sure you know what you need and that it’s all correctly completed and processed. Airway bills, bills of lading, certificates of origin all need to be in order. It’s a little too much to go into detail here but we do offer an online course if you want to sign up and learn more about this important side of learning how to export. Feel free to print out our handy guide as a reminder to these important 6 steps. If you’re importing any products, you must be aware of the tariff book and consult with this before you place any orders. The tariff book is the bible of international trade and tells you the rate of import duty, if you need a license to import the products you’re buying or if there are any restrictions on quantities that an enter the country. This is very important so don’t neglect to check the tariff book before you place any orders. It may seem obvious but it’s still worth stating, get written quotations from any third party that you’ll be doing business with. This can be freight forwarders, transport company’s or clearing agents for example. Once you’ve got a written quotation there can’t be any argument later on about what the cost was or what it was supposed to be. Make sure you have that written confirmation for a much more stress free direct export process. Estimating costs is painful lesson to learn in learning how to direct export. There is no place for estimating any costs for the simple reason that at times, you may find yourself working with very small profit margins. Deals can still be worth it and some good profit realised, even if the profit margin isn’t exactly what you want but by estimating the costs and getting it wrong, it can wipe out any profit and even leave you at a loss. Don’t do it. Take the time to get quotations, get them in writing as mentioned in the previous point and open a spreadsheet and input all of your actual costs. From there you can do the numbers and see if the risk to reward is worth it. When shipping your goods, it’s vital to use Incoterms 2010. If you’re not familiar with these, check out our blog on, “What are Incoterms and how are they used?” and it will hopefully become clearer to you. Think of Incoterms as code words used within the shipping industry that let the parties involved know their exact responsibilities. We won’t go into it again, just check out the blog. None of us really have any interest in reading the terms and conditions and the small print in anything. We’ve all got better things to do but a big lesson in learning how to export is to read the terms and conditions. In fact, read them and then re-read them. You do not want to be caught out on something that you weren’t aware of that ends up taking a chunk out of you later. As boring as it is, read the terms and conditions! 6. Make Your Terms and Conditions Solid! As boring as it is to read someone else’s terms and conditions, make sure your terms and conditions are solid and fulfill all the conditions that you need. You can always negotiate the terms with a particular client individually if they aren’t happy and it’s worth it but start off with everything in order and as you need. If you can afford it, it’s worth consulting a lawyer just to make sure everything is legally water tight. Understand the rates that you’re paying and shop around. In our blog discussing freight forwarders, we have an example of a client who was being heavily over charged for a long time by his freight forwarder. Had he have understood and done a little research he could have saved such a lot of money. Ignorance costs you, no one else. Understand all of the costs involved in sourcing, buying, shipping, duty, how long it will take, marketing and selling. You need to know your costs before you can figure out how much to sell your products for, whether anyone will buy them at that price and what your profit margin will be. Be precise. Don’t hesitate to question an invoice if it doesn’t look right. Don’t worry about coming across as rude, you can be polite but make sure you get an explanation if the invoice isn’t correct. This is where you can always fall back on your written quotation and show that the invoice amount is not in line with the amount you were quoted. If you got your quotation in writing there won’t be any arguments or problems and the invoice will be amended. Knowing how to export is a fairly complicated process. There’s lots of parts and you must be aware of what you’re doing. Whatever you do, don’t wing it…it will cost you. 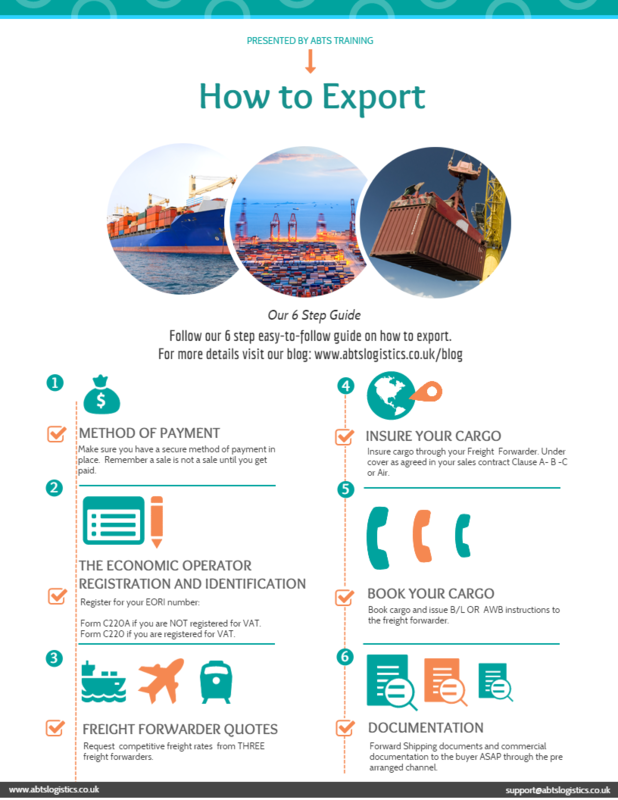 So in this short journey of learning how to export, we’ve gone through the basics and you’ve got our top 10 best tips for importing and exporting. There’s much more to learn but this gives you a good foundation to spring board from. Now it’s a good idea to run through the 9 most common and costly mistakes made by international traders, so you hopefully won’t! If you don’t know how to effectively find products you’re massively limiting your import business. You must know how to find the products you’re looking for, from price, build quality, working relationship with your supplier, reliability and credibility to name just a few of the aspects that are important. Knowing how to source goods internationally is huge. Our blog goes into some ideas on how to do this to give you a head start so check it out. It’s going to be key to a successful importing business. Don’t cut corners, don’t guess, don’t estimate. Make sure you have the entire import or export process covered and you know your costs from start to finish, to the last penny. Keep track in a spreadsheet. If you don’t know your costs, you don’t know what you need to sell your goods for and you won’t have a clue what your profit margin is. Include the products themselves, the shipping costs, the import duty, warehousing, cost for distributing to your customers, VAT and any other cost you can identify. You will lose money if you don’t do this. If you don’t understand how to correctly import your products, it’s likely to cost you more than you need to. You may end up paying more import duty than you should have for example. Take the necessary steps to ensure you understand the import regime and tariff number. Take the time to get to know how freight rates work and get a variety of quotes to make sure the company you want to use is competitive. Our blog on freight forwarders give you some good advice so make sure you check this out. Whether you are paying your supplier or you are to be paid, make sure you understand the methods of payments available to you. A sale is not a sale until you’re paid and things can and will go wrong in between. Letters of credit is one such method of payment that all international traders should know how to use. We’ve all seen Dragon’s Den where the entrepreneur thinks he’s got a world changing product which is promptly shot down by the dragons after a little digging. You may think you’ve got a great product that’s going to sell like hot cakes but you need to know others think the same thing and want this product before you part with any cash. If you don’t do your market research that container load of yo-yo’s that you were sure would be the next big thing may be stuck in your garage and spare bedroom for years to come. Find your customer base for the products you’re selling and don’t limit that audience. Not finding as many sales channels as you can is a waste. If you can sell your product directly to retail shops in the high street, wholesale to distributors or online globally, take advantage of all those opportunities. Get out and make sure to meet people, go to meet ups and conferences and get your products out there. If you don’t understand the terms of delivery you could be charged for costs that you’re not actually liable for, further reducing any profit margins. Knowing exactly what your responsibilities are is important and can save you hard earned money. Negotiation skills are a massive part of international trade and business in general. You need to hone your skills and make sure that you are able to always get the best deal you possibly can. If you can crack this, you will very likely make it as a successful international trader and be able to run a very profitable business. Negotiation skills will increase with each deal that you seal and with that, your confidence will also grow. Obviously like any new business or career there’s a lot to learn and as you can see there are pros and cons of direct exporting but one of the best pieces of advice we can give is to be proactive, not reactive. By being proactive, you will firstly make sure that you have gained the knowledge you need to import or export your products globally and really understand the issues that you’ll face. You’ll take all the necessary steps to have a streamlined import and export process, you’ll have done all your research and homework and your process will be organised, efficient and you will have all your costs to hand. You’ll be able to analyse your risk within the process and foresee any problems or issues and develop any contingency plans to handle these problems. By being proactive it will save you a lot of time, stress and ultimately money, keeping your profit margins healthy and your work life relaxed. Being reactive is usually the exact opposite. Not being fully prepared, not having a good understanding of what you’re doing, estimating costs and when there’s problems and issues, trying to deal with them at the time and figuring out how to handle on the fly. This obviously leads to hugely increased stress levels, valuable time been taking from you and of course, in many cases money being lost or wasted, which is critical, especially when working on on tight profit margins. There are advantages and disadvantages of import and export and making sure you are aware of exactly what they are will be the difference. Sourcing products around the globe is obviously a very important factor in supply chain management and thankfully a much easier task than in years gone by. Jumping on to Google, makes the sourcing process much easier and quicker and is certainly the first port of call for global sourcing but there are still other avenues that shouldn’t be ignored when learning how to setup your import export business. As an example, we once helped an importer and retailer of pine furniture who had signed up to our online course as he wanted to learn other methods of sourcing and procurement and increase his options of suppliers and not be limited to his sole supplier in China. This entrepreneur had seven furniture retail outlets throughout the UK and his business was growing. He felt he was vulnerable having just one supplier and for security needed to look at other options potentially in other parts of the world, building a more strategic sourcing plan. At the same time, he wanted to gain a competitive edge being that all his competitors were purchasing selling the same furniture designs as him, so all he could compete on was price which was squeezing profit margins. After some consideration and research with his customer base and examination of his inventory compared to his competition, the data showed him that he needed to develop bespoke designed furniture, which he felt would give the needed edge and these designs would be marketed as exclusively his. After listening to his customers and establishing what products and services they wanted, he catered for their needs and desires and went about drawing up a range of furniture. He approached his Chinese supplier and manufacturer and inquired about producing this range of bespoke pine furniture but they were unable to accommodate this request because of the large cost involved to them in retooling their machinery for a comparatively small order. With this, we advised on product sourcing alternative manufactures and to look closer to home. On doing some initial research, we suggested Cyprus as a first point to finding new sources as we found it to be a pine furniture manufacturing base and pine wood was in abundance, lowering the price of the raw material. The next step was of course to find a supplier and manufacturer there, one of the types of sourcing we decided to tap into was contacting the Cypriot embassy in London and ask them if they would be able to recommend any reputable and established companies. They were very helpful and of course, pleased with their sourcing involvement as they’re happy to promote the Cypriot manufacturing industry, in this case, furniture makers and we were pleased to receive credible recommendations. The Embassy asked if we would like to be introduced to a local sourcing company but actually made several introductions to manufacturers that were fit for purpose and eager to win the contract. Our entrepreneur discussed his needs for his bespoke pine furniture to be manufactured and exported to the UK which were well received and two reputable and established companies submitted quotations, both within the same ball park figure. Both companies invited our entrepreneur to visit and have a tour of their factories, see firsthand the quality and craftsmanship of the furniture and discuss his final requirements. After reviewing both proposals, further negotiations and being impressed with the manufacturing process of both companies, the order was actually split between the two companies giving our entrepreneur further security in having two reliable manufacturers but also being able to gain an air of competitiveness between them, ensuring that price would remain competitive. The Chinese supplier was kept and continued to ship furniture and was offered to customers as a lower priced range, keeping this target market but putting our entrepreneur in a position to up-sell the bespoke range when possible. The saying goes, “don’t keep all your eggs in one basket” and in this case it was great advice to follow. The result was an increase in customers, sales and profits due to people being unable to buy this range of furniture anywhere else and the retail business has gone from strength to strength. The Internet is without doubt the easiest and fastest way to find suppliers and manufacturers but there are alternatives. In this case, it was beneficial to make contact with people that we were able to trust in the Embassy and use their knowledge and credibility to find these reputable manufacturers. Another option is to contact the Chamber of Commerce in the country or area that you’re looking to source products from. Like the embassies, the Chamber of Commerce also wants to promote their businesses and attract foreign trade, so making a contact within the Chamber can be a good move. Contact and let them know what you’re trying to achieve and ask if they will send you a list of their registered businesses in the sector your looking at. They will only be too happy to help. Another great way to source products is to go to trade fairs. Trade fairs happen all over the world and simply Googling trade fairs in your country/city will like bring up results that you won’t have to travel too far. Check these out and subscribe to ones that are of interest to you so you’ll know when there are more upcoming. They’re usually free to attend and you’ll have a chance to check out some great products and in some interesting niche’s. Facebook is a great tool to find suppliers offering their products. There’s hundreds of groups out there with particular niches that you can search and join. Get chatting to suppliers as well as other importers and exporters. ABTS Training has a group recently setup which all are welcome to join. When starting of growing your business, it’s worth keeping your options open and checking all avenues as well as continuing to ask yourself, how can I keep my edge? So if you’re ready to start looking for products around the world, the best and most fun way to do it is to start travelling! We’ve done this ourselves so have a few tips for you as far as how to make your way around. AirBNB is a global leader in accommodation and we’ve all heard of it. Very easy to use and you can find some great deals as you’re renting from individuals much of the time, not hotels. We’ve used Airbnb many times without any problems so sign up here. Agoda appears to have cornered the market in South East Asia and offers the cheapest rooms between all the various booking and compare sites. If you’re heading to Asia, it’s certainly worth signing up and installing their app on your phone and signing up for an account. It could save you some good money. If you’re planning on sourcing in Europe or the America’s, it’s worth comparing prices with Booking.com. These guys seem to have very reasonable rates so again, install and open an account and keep the app handy. Ride sharing apps are a clever bit of software and are massive business in the travel sector now for good reason. They’re easy to use, you get a price before you ride and unlike taxi’s they can’t drive the longest possible route to your destination, raking up time on the meter. If you have a complaint you can file that with the ride sharing company and make a dispute. Below are the three top ride sharing apps you’ll need to travel the world. Grab is the ride sharing app in Asia. Download the app and create an account. Ride rates are very good and you can even get around on Grab Bike, which puts you on the back of a motorbike, gets you to where you have to quickly with a bit of a thrill! Uber is in many countries worldwide and probably the biggest name in ride sharing. Wherever you’re going, sign up for an account with Uber and download the app. It’s good to compare prices with other ride sharing apps. Lyft is available in the US and Uber’s main competition there. You won’t need any more than these three ride sharing apps to find your way around the world. Sign up and download Lyft here. Once you’ve sourced your products and you’re ready to make your first order (and all subsequent orders for that matter), you’ll need to transfer money. Using your bank for this, will probably come with a hefty fee. By using Transfer Wise, you’ll save about 85% in fees and get a great exchange rate, adding to your profit margin. You can register from most countries in the world so wherever you are, sign up here and start saving on international transfers. Revolut is a fantastic credit card, giving you almost spot rates and low fees. It’s not a “credit card” as such, you top up your card in your home currency, then convert it to the currency of the country you’re travelling to and use as you would any normal credit card. You don’t have to worry about going over your limits as you can’t spend more than you have on the card. It’s a super convenient way to handle your finances on the move. At the moment it seems to be only available in Europe but keep an eye because they are going global soon. Sign Up Here and get a free card (they’ll waive the sign up fee for you). So there you have it, there’s nothing stopping you from getting out into the world and seeing what’s out there, find your niche and getting your own import export business off the ground. The story of Lord Alan Sugar is a great one, from selling radio aerials for cars and other electrical goods out of a van, to a market stall, to multimillionaire. Starting an import export business really isn’t rocket science and can be hugely rewarding and make you financially successful but of course, is going to take time, dedication and some hard work. As with any small business venture, sometimes we need help getting ideas together as a kick start to moving things to the next level. In setting up export businesses, the first question is always, “What can I import and sell?”. Finding a niche or a gap in the market takes some time and research but there’s generally a market out there for everything. There’s literally a world of opportunity within international trade and the best part about it is researching what’s out there to import and sell at home, is the chance to travel and discover amazing products from other cultures and countries. Before you know it you’ll be an international trader running a successful business selling quality products from every country! Well, let’s take one step at a time, so pack your bags and grab your passport, here’s some ideas to get you thinking from six countries. Once you’ve figured out what you want to sell, check out our guide on how to find buyers for your products. Leather is a prominent industry in India with leather also being one of the most widely traded items in the world, always in demand and can be considered ageless. Shoes and coats never go out of fashion and can last for years, so becoming an export merchant for this niche may not be a bad idea. Leather purses, bags, briefcases, belts, wallets, gloves, the list goes on, there is a huge range of products to import. There are more than 1000 leather exporting companies in India, making it arguably one of the best import export business in India. Some of the prominent players are Prara Leathers Private Limited, Rahman Industries Limited, Farida Prome Tannery Private Limited, Tata International Limited, Super Tannery Limited and Blue Diamond Leaders. ABTS Training also has a contact in India that has joined our Facebook group offering leather goods and handicrafts. For more information and data see IBEF. India has long been considered to be the hub of the global jewelry market because of its low costs and and highly-skilled labour. India is the world’s largest cutting and polishing centre for diamonds. The gems and jewelry market in India is home to more than 300,000 players, with the majority being small players, so this is a great opportunity to go to India experience the culture, speak to jewelry dealers and see what opportunities are there. Jewelry is such a huge market in India with a market size of US$75 billion as of 2017 and is expected to reach US$ 100 billion by 2025, there’s no reason why you can’t take a piece of the pie and start trading in jewelry. Egypt is famous for having the highest quality cotton in the world and is always in demand, worldwide. Production using fine Egyptian cotton includes shirts, fabrics for trousers/shorts, worsted wool fabrics, denim, fleece, jersey, flat/woolen knits and much more. Apparel production includes active sportswear, outerwear, underwear, suits, socks, infant wear etc. Production of arguably the most famous use of Egyptian cotton includes a wide variety of bed sheets and bath towels. Egypt was once the prestigious center of the international perfume industry. Perfumes were created and mass-marketed elsewhere in the ancient world but it was Egypt that was most renowned and identified with the international perfume trade. 80% of the world’s natural jasmine products, come from Egypt, where specialists in this ancient art extract the aromatic oils from a profusion of flowers, leaves, roots and herbs and export them to perfumers in Paris, London, New York and even Moscow. Egyptian perfumes is a huge export market with some great opportunities. According to some estimates, Africa’s dry hair market, this being the market for weaves, wigs and hair extensions, is right now worth over $6 billion a year and growing rapidly. Western countries, particularly the US and UK are in high demand of weaves and will pay top dollar for real human hair. Incidentally, Thailand is also a great source for real human hair, sold in many of the markets for very reasonable prices. Nigerian exports of nut related produce including oil seed, oleagic fruits, grain, seed, fruits is massive. Sesame seeds are in much higher demand too being that Sushi restaurants are now so popular. Ginger is one of the most traded spices in the world and Nigeria has an abundance. Starting a Trans-Sahara or Trans-Atlantic trade with these products will be profitable but take some research and time to find buyers for your exports. Garlic is also on top of the list and is easily exportable from Nigeria. In our Facebook group we have suppliers in Nigeria offering tigernuts, garlic, ginger, sesame seeds and palm kernal oil. Exports from Turkey are exploding with 2018 setting a record year of $168.1 billion, demonstrating the high level of demand for Turkish products. Turkey is one of the world’s leading manufacturers of knitted fabrics, having the largest share in Turkish industrial production and being one of the first established industries in Turkey. Turkish knitwear is known to be of the highest quality with worldwide competitive pricing making it an ideal product to import. The potential for solid profits within this textile is huge. One of the world’s most prominent carpet manufacturers, Turkey is continuously expanding its global market share with increasing exports year-on-year. The Turkish carpet industry is renowned worldwide due its superior-quality products and advanced technology in production. Turkey currently holds a 15 per cent world market share in carpet trade and ranks in the number two spot behind China who takes the top spot. In our Facebook group we have supplier offering carpets from Gaziantep in Turkey. In every mall, high street and market stall, there are shops selling just mobile phone accessories. From unique looking earphones, crazy and cool phone cases, to selfie sticks and battery packs the appetite for the latest, coolest phone gadget is is enormous, worldwide. Importing these products is a great opportunity and the cost of these products in Thailand are significantly lower than other countries worldwide, coupled with quality craftsmanship. Shoe shoppers love Thailand! There are a gazillion varieties of shoes available in Thailand and at great prices. Importing shoes is a relatively safe investment as demand is stable and profit margins are solid. Street markets and local retailers are a good place to start when it comes to finding buyers. South Africa’s wines are held in very high esteem but South Africa is not taking full advantage of and could export more wine to the rest of the world. With a weaker currency, South African wines are comparatively cheaper to those of other countries with stronger currencies. South Africa is currently the 12th biggest exporter of wine, with wine exports of SA bringing in $661.6 million. However, South Africa’s wine exports was the 2nd cheapest of the top 13 wine exporting countries in the world. This is an export market waiting to be taken advantage of and will likely see comfortable profits. South Africa Exports of Pearls, precious stones and metals was US$14.9 billion in 2018. Needless to say there is always a demand for diamonds and gold around the globe. The nations with the highest demand are Japan, USA, UK, Hong Kong, Germany, UAE and Belgium. Hopefully this have given you some ideas to starting up your own import export business and before long perhaps your company can be doing some big international business. Some reports state that around 70% of us are unhappy in our job. This being true, it’s always possible to change career and take the plunge and start up your own international trading business. It’s scary but for those that do it and are willing to take the time to learn a new business, do their research, create a business and marketing plan and have the guts to take action, it’s well worth it. Nothing’s easy in this world but once a few sales start to come in, it’s a very rewarding feeling seeing something come to life that you’ve built. For a little inspiration, here’s a story of how one of our students did exactly that and is now exporting Spanish wine to China. Other than knowing how to start an import export business, the next question is inevitably, how much will it cost? The answer to that question is, it depends how you go about it. Generally speaking, setting up as an export and import agent can be the way to go if you’re looking for minimal financial commitment as it requires less financial exposure, so this is something to definitely consider. Check our in depth blog post on how to become an import export agent for some great tips. One other big part of the business of import and export is know how to use a freight forwarder. Eventually, you’re going to need to use one, you’ll outgrow the post office, the bigger your shipment size of your import and exports, so it’s worth understand how they can help you and what to be aware of. 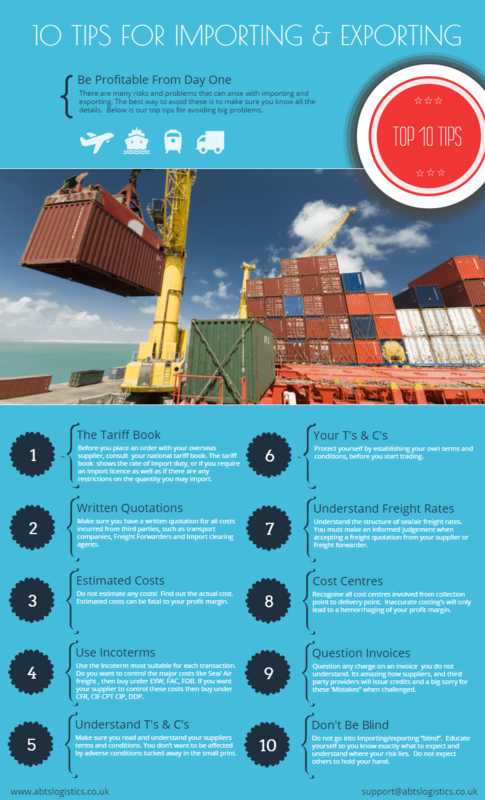 We’ve written an in depth blog on what freight forwarders do and how they can help you. The blog also includes some tips of what to be aware of and how you can protect yourself from being over charged. Most freight forwarders are there to help importers exporters and run an honest game but as with everything, there’s always one or two bad eggs, so it’s worth being aware. One of the key skills of any import company is the ability to effectively negotiate. You’re going to need to negotiate not just the price of your goods but potentially the method of payment, such as a letter of credit, the terms of shipping (using Incoterms), as well as then negotiate the selling price with buyers. Negotiating like most things, becomes easier and you get better with experience but a great start is to checkout or negotiation techniques and tips in our in depth blog. This should get you started in the right track. Hopefully this blog has given you some inspiration into starting your own import export company so find some time and write a business plan. The first place to start is identifying what you want to sell, so get out there and find the products you want to sell or represent. Our in depth blog on sourcing will help to get you started as you can explore the globe for some cool products. It’s best to perhaps pick an industry that you are familiar with so there’s less of a learning curve, if you’re into mobile technology and already know and understand a lot in this field, it can be a good idea to follow this road. You’ll already understand the products that you’re looking at and probably know pricing already so these are a few advantages to sticking to what you know. Also decide if you are going to act as an import export agent for this company or direct export. Make contact with companies and see what they can offer you and at what prices. If you’re able to take a trip and go and visit manufacturers or factories, this is always time and money well spent and shows you’re serious. You’ll also have the added advantage of seeing the product yourself, check the quality of the materials and the workmanship. Nothing really beats physically seeing it as photos and video really can’t show this. Once you’ve sourced your products and established your product range, consider how you’re going to sell your products. Check our blog post with some ideas and suggestions to finding buyers but also consider using the web and setting up you’re own website to export globally. Your own website has several advantages as you can cut out the middle man from any direct sales and also acts as a shop window for your company for any new suppliers you’ll contact making you serious and professional. These days it doesn’t have to cost a fortune but we go into much more detail in our blog post on how to export globally. There’s more to learn to fully run your own import export company but this should give you some good ground work. Once you’ve thought about these points and written down your ideas and made notes after doing your homework, you’ll be in a much stronger position to get going. It’s hard work but the challenge is rewarding once you start the get the first coupe of deals done. You’ll grow in confidence and be able to streamline each part of your supply chain as well as learn the best avenues for selling your products. One of the most common questions we’re asked by entrepreneurs thinking about getting involved in importing and exporting is, “how to find buyers for my exports”. There is no single or straight answer to this question, as you can imagine it depends largely on what your exporting and to what country or region. It’s wise to spend time researching the market online for your export in various countries and areas before you take the leap. Ask questions on forums, Facebook groups and any other ways of getting some opinions from local people. This will be valuable as you can’t beat the feedback from local people who live and work in your target area. Asking about pricing and even product opinion can be very beneficial feedback. We recently wrote an blog on how to sell globally from your own website so we won’t go into any detail on this avenue in this blog but there are plenty of other ways to find buyers for exports to think about. With so many websites now online that allow you to sell your own products, why not consider listing your products? The biggest and most well known are Ebay, Amazon and AliExpress and as they’re international this is a great place to start. Register an account and add your products to these sites and see if you place any orders. If you do, you can be more confident about demand for your product in that country or area. There are many smaller but well known sites online that specialise in smaller retailers and handmade goods such as Etsy and NotOnTheHighStreet. A small amount of research for your target country I’m sure will reveal others. If you take this approach, it’s worth spending some time studying the best practices for listing your products so that you can take full advantage. For example, make sure photos of your products are well lit and show enough detail. Take photos from various angles so potential buyers can clearly see all of the product and consider even developing a short promo video. Write a descriptive title and description and answer any of the most common questions about the product so users don’t have to contact you and wait for a reply in order to get the answer to their question. When they’re ready to buy, you want to make sure there are no obstacles in the way and they “Buy Now”. Make sure you offer an excellent level of customer service. Answer questions promptly, when you have your confirmed orders, ship your goods quickly and don’t delay. Update the customer with shipping and tracking codes so they can keep track of where the delivery is. Zappos has sold over a billion dollars in shoes and it built this off the back of excellent customer service. There is a lot to learn from Zappos and how they made customer service their priority and in return their customers gave them loyalty. In return for great customer service, ask for a favorable review which are obviously important for credibility. This gives your next potential customer confidence, not just in your product but your service. With some good reviews, they may not hesitate to click the “Buy” button. Once you’ve sold some products and built up a base of customers and good reviews you can use this to a second advantage. Contacting wholesalers and having a credible track record can be a big advantage. To be able to say that you’re already selling your products in the local market reduces risk to the wholesaler. If you can say that you’ve already sold “X” number of products in their country and you have “X” number of positive reviews that your potential wholesaler can verify, this is a great way to begin a pitch of your products and will no doubt get the attention of both wholesalers and retailers. This begs the next question of how to find wholesalers and retailers for your products? It may sound obvious but Google as we know is the king of search so start here. For example, if you are exporting rugs or carpets from Turkey, perform a Google search on “rug wholesalers in UK”. You’ll get plenty of wholesalers that you can contact and see if you can generate any interest in your products. Wholesalers received many emails and calls, being offered products all the time, so try and stand out from the crowd. A well written email, with clear and professional photos of your products is a good start. We will write another blog on the best approach to contacting buyers and wholesalers. Kompass is an online business to business directory, with more than 20 million companies, in 70 different countries. This is a great business resource and have a good chance of finding buyers for your exports within its listings. The information is not free and you have to buy lists of companies but the contacts are a great place to start. This is more of an old school approach but still relevant. National Embassy’s want to promote trade between their country and the world and are there to help create these links. Contacting the commercial section of a country’s embassy and asking if they can provide you with a list of wholesalers of your export product is well worth doing. This also works in reverse, if you are looking to source particular products from a country, contacting the embassy of that country is a good idea. For example, some years ago, we had an entrepreneur looking to source pine furniture to import to the UK and sell. He contacted the Cypriot embassy in London, where he was based and asked if they could help. Cyprus has many pine trees and is well known for its furniture so this was an obvious place to source. The embassy was happy to help and promote its exports and give a list of reputable and well established factory wholesalers and our entrepreneur went on to negotiate some great deals and setup a successful business. Chambers of Commerce (e.g. British Chamber of Commerce) are another good resource to make contact with, much like national embassy’s. The Chambers want to promote international business and commerce and have close links with many industries and companies in local areas. They can offer advice and help and often support businesses by offering training so are able to certainly push you in the right direction. Lastly, ABTS Training has recently setup a new Facebook Group free to join, where we hope we will be able to match up buyers and sellers worldwide and answer any questions on international trade as well as any tips and discussion. Feel free to join our group. Hopefully this blog gives you a few ideas on how to get started with your import export business and in particular how to find buyers for your export products. There is one more option which is to find stockist or commercial agents but we’ll save this for another blog, so make sure to follow us. We’re currently offering our online import export training course for just £149 so now’s a good time to get stuck in and get to grips with all aspects of international trade, particularly trading under WTO rules. Learn how to streamline your import export process and keep your profitability as strong as possible. Importing and exporting doesn’t have to be rocket science. Sometimes a simple idea can kick-off a successful career and doesn’t need to be over complicated. In November 2017 a young lady, 23 years of age, enrolled on an online import export training course, which she completed and had confidently learned how to export. This young entrepreneur had been looking at China, as many do, to import goods to sell to Europe and on doing more and more research, came across an idea where she saw a gap in the market. This gap however, was in the reverse direction, rather than import from China, she believed that exporting to China was more advantageous, in particular, exporting Spanish wine to China. A simple product, a simple idea and something that can be relatively easily filled. Sometimes we don’t have to find some far out there, brand new product that no one has ever seen. Keeping an open mind and let your research tell you what’s needed. Then trust your research and your gut feeling! With alcohol sales increasing significantly year on year and China’s middle class expanding, finer wines are more in demand. Also the explosion of Chinese tourism across the globe means that Chinese are travelling further abroad and finding a taste for quality wine and spirits. With further research, our entrepreneur selected 3 wine producers in Spain and was grounded in negotiation techniques, therefore able to negotiate a solid and successful contract with them. The wine supplier as you may imagine, was only too happy to help her penetrate the Chinese wine market and was very helpful. In China, after talks with several potential stockist agents, she selected one that fit her personal criteria and potential future expansion plans. The first deal was agreed and signed and the stockists agents terms of delivery were CFR Chinese Port subject to Incoterms 2010. Our entrepreneur was familiar with and understood these Incoterms and able to make the necessary arrangements for the delivery. She promptly contacted a freight forwarder in the UK and negotiated a freight rate for collection from the Spanish wine supplier and delivery to the specified Chinese port. Her knowledge of Incoterms 2010 and the research she had conducted ensured she accepted a fair price for this delivery therefore maximising her profits. The final part of the contract was to negotiate with her Spanish wine supplier, a 60 day payment against a Bill of Exchange, availed by her bank and a 30 day bill of exchange, availed with her stockist agent thus enhancing her cash flow, giving plenty of time to receive funds from her stockist agent and make the payment to the Spanish vineyard. The initial trial order was for 4 pallets of wine by LCL service, with the bills of lading to be produced and forwarded to the stockist agent, together with other commercial documents as a Cash against Documents Transaction. After this successful shipment, the first consignment was sold to one outlet by the selected Chinese stockist agent and a partnership has now been agreed and contracted to jointly finance and purchase a Full Container Load (FCL) of Spanish wine. With the potential to supply a range of products, negotiations are underway to bring in more related products to maximise this business relationship as joint profit margins. Identify the product(s) you wish to buy or sell through solid research. Research the market you intend to sell to. Research and find several suppliers. Just one is risky as if there are any issues or problems, you may find yourself with no stock to sell. Negotiate commercially and legally sound contracts. No business and making profit, doesn’t come easy. Be prepared to put in the hard work, stay focused and keep yourself driven. Once you’ve navigated your first deal and made your first delivery, you’ll continue to learn and it will get a little easier each time. Above all don’t “wing it” get trained in the practical aspects of importing and exporting or the risks of losing money are significantly higher. Knowing what Incoterms are and why they are so important is to going to be the foundation of learning how to export. Think of Incoterms as code words that are used within international trade that make it 100% clear where everybody’s responsibility lies as far as the place of delivery, the division of cost and where the risk passes to the buyer. Briefly, as this can be a little dull, Incoterms are a pre-defined set of three letter codes created by the International Chamber of Commerce (ICC) which were established so there would be clear international commercial terms, as far as where costs and risks lie within each party (the buyer or the seller) when making an agreement in moving goods from the source to the destination, hopefully reducing issues within a supply chain. They were very first created in 1923 but over the years they’re updated and amended. So far, they’ve been updated 8 times since 1923 and we’re now using Incoterms 2010. There’s due to be an update in 2020 in which case Incoterms 2020 will become the current standard. Why Do We Need Incoterms? When we buy something from eBay, we expect the seller to receive our money and send us the product that we’ve paid for to our named destination (usually our home address). If we don’t receive this product, we can contact the seller and address the problem or should that fail, contact either our credit card company and/or eBay and they will act on our behalf and settle the dispute. Obviously in buying something on eBay the process is pretty simple but the seller may say once they put the product in the post and have the proof of postage, it’s no longer their problem. If the package is lost in between, it could be the fault of the post office or maybe it was delivered to a neighbor. There are variables that come into play and if something goes wrong, the responsibility of the buyer and seller is not so clear. However, on this small scale it’s usually reasonably easy to resolve. The place of delivery from the seller to the buyer. The transfer of risk from the seller to the buyer. The division of costs between the seller and buyer. Essentially it stops any confusion for what the buyer and seller pays for. How Many Incoterms Are There? Which Incoterm Should I Use? It’s beyond the scope of this blog to go into detail on each Incoterm as it would take quite some time but as you’ve probably guessed, which Incoterm(s) you should be using depends on various circumstances. Not least, your customer may ask you to deliver under a preferred set of Incoterms, so it’s wise to be well informed on what all 11 Incoterms mean and how to use them. In my experience, the majority of companies that I deal with, tell me that they try to trade under EXW as its ‘Easy” and requires the minimum involvement in the logistics of delivering to their overseas customer. Using the following two examples, you can see there are two very different ways to achieve the same thing, namely getting a delivery of your goods to your customer. As you can see, by using EXW, you have very little work to do other than preparing the goods, boxing them up and have the shipment waiting at the named place (usually your warehouse door) ready for collection. Delivery Ex Works is great if you can agree on that with your customer but what if they request any terms of delivery? This is where you’ll need to know and understand Incoterms rules. Now let’s say that you’ve negotiated and landed a large order, that’s a profitable deal with a new customer and they’re potentially going to make many more orders in the future. Contrary to EXW, by trading under CFR there is much more work to do in preparing the order for export and transferring the shipment to the dock in order to be transported, not to mention you as the seller are extending your risk because you’re not “off the hook” until the goods are on the vessel. There may also be a cost implication as you’ll have to cover transportation from your warehouse to the dock and the various documentation as listed above. There’s much to understand in exporting your orders around the world and if you really want to grow to a global scale, you must have an excellent grasp of export procedure. Since the first edition in 1936, The International Chamber of Commerce( ICC )has always reacted to changes in international trade and reflected this in their Incoterm revisions. It looks like our old friend and much loved EXW is on the way out, which will make it a harder for the passive exporter who relied on EXW to free themselves from the logistics and paperwork involved in International trade. If you’re one of these guys, you will need to get to grips with the required documentation. FCA looks as if its going to be split out as FCA land and FCA marine. DDP is looking like it may also be on its way out to be may be replaced by two new terms, of which we don’t know yet but we will keep watching. It’s rumored that Incoterms 2020 will also address transport security and the relationship between Incoterms 2020 and the international sales contract as well as the regulations on transport insurance. So there’s a lot in the working at the moment and seems like the new Incoterms 2020 could be quite a change and a step up. As soon as the ICC confirm the new terms, which they we expect to be around September 2019, we will be updating you with exact information and how it will effect you. We’re currently offering our online import export training course for just £149 so now’s a good time to get stuck in and get to grips not just with Incoterms but all aspects that you need in order to streamline your import export process and keep your profitability as strong as possible. Britain is a country of innovation and excellent quality products. There’s so many incredible exports the United Kingdom has to offer that the opportunities are literally endless. I’m a big believer in the “can do” mentality. Elon Musk, Jeff Bezos, Warren Buffet, Bill Gates and Walt Disney all started with an idea. They took that idea, believed in it and never stopped running with it. Here’s a reality check, the photo on the left was Jeff Bezos office in 1999. 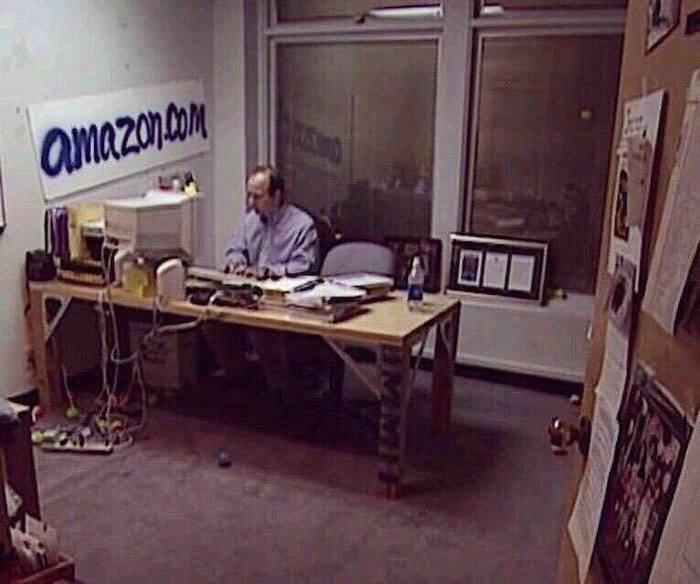 He is now the world’s richest man and he achieved it in less than 20 years. 2017 set a record for inbound tourism to the UK in terms of both visits and spend. There were 39.2 million visits to the UK in 2017, up 4.3% on 2016, with these visitors spending £24.5 billion, an 8.7% increase on 2016. The growth in visits was in line with the trend seen over the past five years. The growth in spending was the highest since 2013 and the second highest since 2006; spend per visit rose by 4.3%. Our revised forecast for visits for the calendar year 2018 is for continued growth. We are forecasting 40.9 million visits in 2018, an increase of 4.4% on 2017. Our forecast for spending by visitors in 2018 is £26.3 billion, an increase of 7.1% on 2017. A very interesting article in The Guardian gave interesting statistics on the amount of Chinese tourists that are now travelling the globe and the UK. £26.3 billion is more than enough to go around so why not take your slice? My friend has lived all his life in Oxford and knows it like the back of his hand. His whole network is there so rather than think too far afield I suggested he start at home. Why not create tours of Oxford with your own flare. Sure there’s people doing it already but there’s no market in the world that’s untouched and without competition. He knows Oxford better than anyone and can take visiting tourists not just to the usual sites but his favorite places. He can try and negotiate deals with local businesses, many of which he already knows, offering his tour groups a discount if brings them. The Pub Crawl: Who doesn’t love a pub crawl. Take your guests on a tour of some of the best local pubs, try some of Britain’s best beers and ale’s! Food Tasting: Tour Oxford’s tea rooms, fish and chip shops, bakery’s, the many places that my friend knows and loves. Ask if they will cater for a group offering smaller portions as a few hours of eating at different places means you can’t eat the usual full size plate. Movie Sets: There’s many movies and series that have been filmed in part in Oxford, running a tour visiting these and giving some local insight is something tourists love to see. Once the tour group is in front of you, there’s a captive audience. Personality will make a difference so interjecting this would make the tour more enjoyable, interact with the group and this builds levels of trust. Building on trust then look to sell products to the group. We all love a souvenir, so negotiating with local businesses that offer fine, perhaps hand made products and these can be offered to the group. I suggested my friend also makes sure to get the groups contact email and any other details as many tourists will return to a holiday destination. They may want to take another of the tours or hear about newly created ones. Get their feedback and make changes as that feedback suggests. Perhaps another piece of the jigsaw is to then get an online ecommerce site and promote this to the same audience and export Britain around the world. See our blog post with practical advice on how to go about getting online and exporting globally, without having to have a huge budget. Offering tours as well as fine British products online is a double income stream. As you can see, setting up this business really won’t cost a fortune and all you’re doing is taking the knowledge you have and using it to build a business. Take what interests you have and stick to what you know, this is key. Focus on one thing to start with, then grow your business organically. Once you start to get the audience, you can market to them. The UK has some fantastic products and places to see and millions of people from around the world come here to experience it every day. Creating your own import export business isn’t rocket science, it just takes a thought and a little imagination. Once you know what is selling and how to export, the bigger question becomes, how do you sell products online to an international market? The Internet is the obvious way to reach a global market and start selling without needing millions in advertising budgets through traditional advertising. Our simple guide below explains the basics of getting your website online and key points to marketing. That idea that began in your head, you acted on, you’ve found a way to take it and turn it into a reality. Congratulations indeed, you are part of the minority. For many, taking the risk, working that hard, probably your current job in the day, then getting home and working another shift on your own company is too much for the majority. Putting up your own money to finance your new company, keeping the motivation and drive can be difficult but you’ve not given up, what you’ve achieved is admirable and you’ve proven yourself braver than most. You’ve achieved so much, you’ve sourced or are manufacturing your products, importing them to your warehouse and now you need to start selling online. Selling is not rocket science, you have to sell your products at a higher price than you buy them. However, especially in this day and age where competition is fierce, it’s easier said than done. It’s not easy but you already know that coming this far. You’re obviously up for the challenge. Selling globally is something that we can all do these days thanks to the Internet. That idea of making money and taking orders while you sleep is reality, potential customers can find your site any time of the day, enter their credit card details and buy your products. 1. Think about registering a domain name with your main keyword in it can help with rankings. You can register two names, one being your company name and the other more keyword friendly. You can promote your company domain on business cards, letterheads etc. but promote the keyword rich one within Google and online. Don’t overdo the keywords though, keep it simple as even a small business still has to look professional. 2. The longer you buy the domain for, it could help your ranking in Google. Google ranks websites on many hundreds of points so buying a domain for 10 years won’t get you to the top on it’s own but it’s something that Google does measure. Google’s logic is simple, if you spend the money to register it for a long period of time, you plan on being around, opposed to someone who is taking it year by year. These days you can build yourself a website with an online store builder. Years ago this used to be an expensive and time consuming project but now it’s really become much more simple. There are “open source” free ecommerce platforms out there for your new online business which will of course include a shopping cart, the most common being WordPress. You’ll need a little tech knowledge but there are so many free tutorials on Google for WordPress that at every step you’ll be able to fall back on some video help. Magento is a second step up, more powerful as a ecommerce platform but you’ll need more tech knowledge. Shopify is an option as somewhere you can setup shop quickly and easily but doesn’t give you all the control you may find you need. WordPress may well be the best place to start. It used to be that you had to find a designer that would create your design then a coder to implement that design. Now you can simply go to a site like Template Monster and search for WordPress templates. Buy one, grab some hosting and install. That is a little tricky and will take some time but here’s a quick guide on how to start . Check out Woocommerce as this is what you’ll need to install to actually run the ecomm side of your site but these days with a little study it’s entirely possible to create your own online store. The temptation when building your shiny new website is to put everything you can think of in it. There’s literally thousands of free plugins and features you can add. Best advice, keep your own ecommerce website simple. The advent of the internet has made us much less patient. If we can’t find what we’re looking for in a few seconds, we hit the back button and bounce off the site. The same will be true of your website; your competition is one click away. Keep things simple, clear, to the point and quick. A major part of online ecommerce is including a site search or a product search, especially if your site has many pages and/or products. Allow people to find what they want quickly. Quick being another key point for Google, as something else it looks for in the site speed. If your site take a long time to load, Google penalises you. “Long” on the internet is measured in seconds. So keep your site light and make sure it loads quickly, especially on mobile as I’m sure you know, most of us access the web through our mobiles more than desktop now. We’ve become especially impatient with the rise of the internet so make sure that if you really want to sell products online, your site and all pages load quickly. In order to make money, you’re going to have to take money. So obviously credit card payments are a necessity. The latest and greatest way to do this in our opinion is with a company called Stripe, the best service for online selling sites. Their payment processing is fast, easy to integrate, their customer service is excellent and fees are very reasonable. The way Stripe make their money is for each transaction they process, they take a small percentage. Once the transaction is approved and in your Stripe account, they’ll automatically send the money to your bank account however many times per month you set in your Stripe account. This could be once a month, once a week or even every day if you need that for your cashflow. They offer WordPress plugins to make it even more easy to integrate into your website. The other alternative that’s been around for a long time is PayPal. PayPal isn’t as slick as Stripe and probably needs some updating but for those that have a PayPal account (and there are many that do), this can be a convenient way to pay. PayPal allow users to enter their card details into their account and when they want to make a payment for a product, if they can pay by PayPal, they simply need to login and select that payment method. The advantage to the user is that they don’t have to go and get their credit card and enter the details because it’s already setup. Our advice is to have both available on your website so your customer can choose the most convenient payment method for them. We all want to sell products online globally to clients worldwide but remember you’re going to have to speak to them. Translations of the site will be needed. You can try and sell to Spain in English but your sales will inevitably be stronger if you sell in Spanish. You’ll also have to consider what you’ll do if you have a Spanish customer that has an issue and can only talk in Spanish, a problem if you only speak English. One of the biggest lessons in knowing how to sell products online, can and should be learned from Zappos. Zappos has sold a billion dollars worth of shoes so if there’s anyone to learn from, it’s these guys. Customer service wins loyalty. When we call a company, we want to speak to a human, we don’t want to dial more numbers to get there, we want a response quickly. If we have a problem or a complaint, make it right. The best way of keeping customers loyal is to deal with problems and issues, quickly and to fix the problem. We all understand that there are problems in life, it’s how you correct them that can make a disgruntled customer, a happy and forever loyal customer. Make that happen. Have a read on Forbes about Zappos customer service. This is something that needs to be in place from the very beginning and should not be outsourced. No one outside of your company is ever going to care as much as you. Install Google Analytics on your site, it’s free. Setup goals and study the data. Without knowing what your audience is looking at on your site, what’s working, what’s not working, you won’t be able to progress. Analytics offers a wealth of information for you to study. Without using this, you’re blind. Selling products online successfully means analysing data. Where are your users coming from, how long do they stay on the site, what are your most popular pages? You’ll need to study these metrics and keep refining until you have good conversion rates. After all this, you may find yourself wondering why you’re not getting any traffic or sales. Well, there’s around 645 million websites online today. How are people going to find yours if you don’t tell them about it? Means more work but we already know you’re not scared of that! Here’s a few ideas to get you thinking. Getting a high ranking in Google is what we all want but it’s no easy task. It takes time and a lot of work. A quick way to Google is using Adwords. Pay to appear at the top of Google. Yes it means you have to find more funds but it’s a quick way to get off the ground. The other advantage is that it will give you an idea of traffic, whether your site is working well, if you have customers calling you you’ll understand their needs better. WordPress is actually a blogging platform so use it. Create blogs that are interesting and relevant to people. I hope you are finding this blog useful and that you’re benefiting from the information. The next post I write, you will hopefully be interested in and continue to read. Over time, I hope you’ll become a loyal follower and share the information I’m writing about with others that will find it useful. The same applies to whatever you’re doing. Don’t write blogs where you’re simply trying to get people to buy what you’re selling, drive people to your site with interesting and relevant content, then they may visit your site and look deeper, perhaps taking the plunge and buying something. For example, if you sell cakes, don’t just try and sell your cakes on your blog. You can write recipes, make a few videos of how to make the best brownies at home, what are some of the best ingredients to use in cakes, what are your favorite cakes, whats the best cake tin…you get the idea. These subjects will be more interesting and if you post them out on social media, may get a lot more interest than, “Please Buy My Great Cakes”. Once you’ve written those great blogs or created a few great videos, send them out on Twitter, Facebook, Instagram, YouTube and all the networks. Use hashtags to gain more exposure. The main thing to remember is not to get bored and give up. Blogging and gaining traffic takes time, you need to think of this as a 12 – 18 month project, it won’t happen over night. Be consistent and you’ll get there. Another idea is to use sites that allow you to sell but take a commission. This may not work for you if you’re working off tight commissions but in the long term it can still work, so consider it. Sites like Not On The High Street, Etsy and even Amazon and Ebay can really work to springboard some product awareness. By adding your products to these, you’ll have to pay a commission on sales but you’re products may start to get exposure and any sales, means you’ll have the details of that customer to market to in future. Rather than looking at it as a commission on sales, you could look at it as paying to gain the customer. Last point is to make sure you’re creating an email list of users. It’s an old form of marketing now but it’s still effective. It’s easier to sell products online to people that have shown an interest in what you’re offering and made an effort for you to keep in touch with them. Offer something for free on you’re site, a discount, an ebook, a free cake! Get the user to leave their email and you’ll be able to keep them up to date with new products, discounts and other exciting bits and pieces! Creating your website, marketing and learning to sell products online is it’s own is a full time job so eventually, once your online business really takes off you may find yourself needing at least one dedicated person to working on this. Nothing tends to happen quickly when it comes to the web either, there are so many platforms and browsers that to get a website to work on everything can take some fiddling and therefore time. Make an overall plan for your website and stick to that and get it launched. You can and will continue to tweak it after that until you find the recipe that works for you. Perseverance is what will be needed so don’t give up and be ready for the long term game. Negotiation is a fundamental part of business itself and international trading. You’ll negotiate every part of a deal from sourcing your products from suppliers, dealing with wholesalers and retailers, negotiating price and therefore your profit margin as well as the terms of delivery. Understanding negotiation styles is one of the cornerstones to making any business successful not just importing and exporting. Deals come in all shapes and sizes but they are really only effective when both sides are happy and create value. Making a deal where you get everything but the other side comes away with nothing, in the long run won’t prove to be effective business negotiations as you could find yourself dealing with someone who’s unmotivated and doesn’t care about losing your business, therefore gives you a terrible or non existent customer service, won’t address your concerns and perhaps cut as many corners as possible to save on their budget, giving you little value. Effective negotiations works when both sides gain and there’s a compromising style. Both sides are then motivated and want to work together for the long term, working toward conflict resolution and continually trying to better the service and relationship. This is really important to understand: Many deals are negotiated based on matching personalities and a collaborative style, not cost alone. If you can find something in common and personalities work well, this can seal the deal and is a much more effective negotiating style. Negotiating a deal is much easier when you like the person you’re dealing with. Think about how much sense that makes for a second? If you’re negotiating with someone who’s hard headed, stubborn or arrogant and wants only what they want, you probably won’t be that interested in getting the deal done. You’ll see them as someone who’s probably going to cause you a lot of stress and grief as time goes on, which no matter who much money may be on the table, you’ll really have to consider if it’s worth it. On the other hand, if you’re meeting with someone who’s relaxed and friendly, someone you can meet for a beer and discuss business, this is a much more likable scenario. They still know and understands business but you can see they’ll be good to work with, understanding when things go wrong and someone that will work with you for a solution, this type of person or relationship is much more appealing. Money will always be important but may not always be the priority. Getting to know the person your negotiating with a little can go a long way. Imagine you’ve got a great idea, you’ve spend months researching it, you’ve spent hard earned money getting the idea off the ground. This is now your baby, you’re excited, you love seeing this idea that started in your head, grow and become a reality. The next phase is to meet two suppliers for example. The first is a guy who sits across the desk, asks what you want, looks it up, tells you he can do it, gives you a good price and leaves you to it. The second is someone that takes the time to grab a coffee with you, wants to hear about how you came up with your idea, what steps you’ve taken to get the project to the point it’s at and wants to know about some of the obstacles you’ve faced. They show an interest in your baby, they show some enthusiasm and excitement and understand your project. Perhaps they ask what other companies or people you’re working with as they may have a relationship with them as well something that could be a mutual benefit. They ask how you plan to move the project forward, perhaps suggesting they introduce you to a couple of people in their business network that would benefit you as well as ask what problems you foresee in the future to see if they can help combat some of these which already shows and understanding of conflict management. The price they give you is higher than the first but still just within your budget. 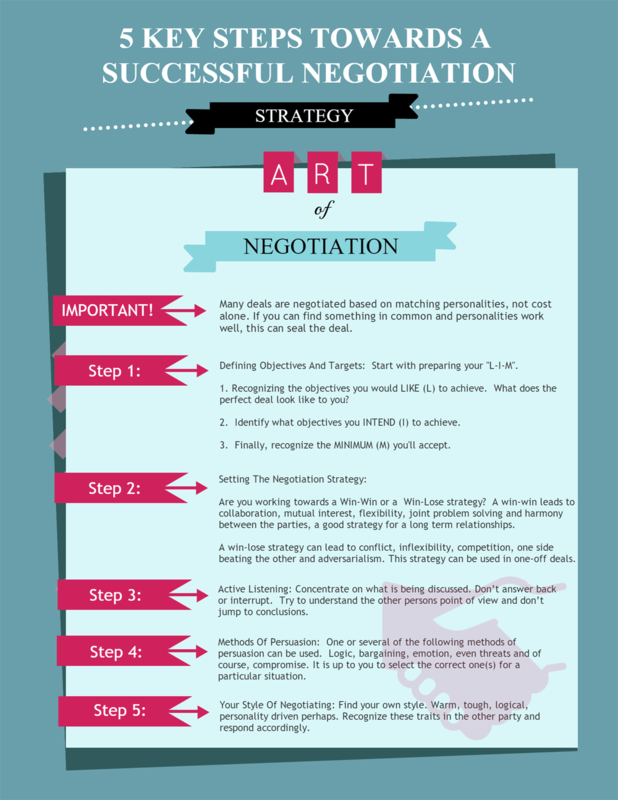 Which of those negotiation tactics do you think are better? A comparison of different negotiation styles but being enthusiastic, taking the time to learn a little goes a long, long way. Step 1: Defining Objectives And Targets: Start with preparing your “L-I-M”. 1. Recognizing the objectives you would LIKE (L) to achieve. What does the perfect deal look like to you? Be realistic with this and make sure it’s not totally one sided. As mentioned, you don’t want anyone unmotivated on the other side and this is a key part of negotiation skills training. 2. Identify what objectives you INTEND (I) to achieve. Knowing what your objectives are will keep you focused, don’t lose track of these and make sure these are the prioritised in case you have to sacrifice one or two. 3. Finally, recognize the MINIMUM (M) you’ll accept. Know when you’ll walk away. If you cannot achieve what you need minimally from the deal, there will be no point in continuing the discussion. In these cases, don’t burn your bridges as you never in in future if you can’t do a deal again but be prepared to walk away. Are you working towards a Win-Win or a Win-Lose strategy? A win-win leads to collaboration, mutual interest, flexibility, joint problem solving and harmony between the parties, a good strategy for a long term relationships. A win-lose strategy can lead to conflict, inflexibility, competition, one side beating the other and adversarialism. This strategy can be used effectively in one-off deals but be careful as if you need to come back and do another deal, you may find yourself with the door being shut in your face. Of the two different negotiating styles, the first will produce a better deal. Concentrate on what is being discussed. Don’t answer back or interrupt. Try to understand the other persons point of view and don’t jump to conclusions. Understand what you’re being told and put yourself in their position, try and think from their side how you can bridge the gap. Collaborative negotiators find more success in achieving what they want with an accommodating negotiation style. Logic: A simple strategy, laying our the facts, the positives, the negatives and talking them through. Bargaining Style: We’ve seen this many times on Dragon’s Den! Back and forth trying to find the acceptable middle ground. Using a collaborative negotiation style in general works well as it shows your willingness to work with the other part. Know what you will give up, and feel out what will the other person give up to make a deal. Be realistic with what you’re going to bargain with or the other side may not take you seriously and that could kill the deal. Emotion: Someone that likes you will want to work with you. Find what you have in common, sometimes even ask about their family, do you have kids the same age, family that live in the same town. These things can help to find common ground. 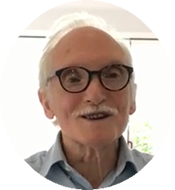 Threats: Not perhaps the best or first course of action but it threats have their place as a conflict negotiation styles go and obviously a competing style to bargaining. If you are the client, you can threaten to take your business elsewhere unless they give you some kind of a better deal. Sometimes there is only so much the other side can do, they cannot sell to you at a lost for a sustained period obviously so use this tactic sensitively and realistically. Compromise and Negotiation: Of these five styles of negotiation, find the compromise through dialog is likely the most effective. Chat back and forth, listen and compromise. Five negotiation styles for you to consider and it’s up to you to select the correct one(s) for the particular situation you’re in. Make sure you have a very good idea of what you want and what you’ll sacrifice before you go into battle but remember, compromise and negotiation is the attitude to have. Winning the battle does not mean you’ll win the war! Find your own style; warm, a little humorous, tough, logical, all business? Negotiations are personality driven and a key leadership skill that you need in business. Personalities will either get along or clash. Find a way to get along and recognize these personality traits in the other party and respond accordingly. Hopefully some of these techniques will help you put together a collaborative negotiation strategy. These probably aren’t Harvard negotiation styles but they are styles that have come from doing practical business day-to-day with international traders. Bare in mind, that traders know their business, they know their figures and they know what they can and can’t do and negotiation styles in different countries can vary somewhat, so be open to this. You’ll come to understand this the more you negotiate deals in any particular country. We’re all out to make a profit, we all need to make a profit so look to negotiate a deal that’s ultimately fair on both sides. This is what works best and will generate longer lasting business relationships. We would love to hear how you get on or what tips you have for a successful negotiation, so feel free to contact us in the comments below.